This 'Frequently asked Questions' page should address most of your queries about returning your car. If you have other questions, you can ask them online by filling out the form provided at the bottom of the page. You will have other questions which are specific to your car, but these can be answered on the day of the inspection -- or you can upload a photo to our Q&A. Why pay someone to tell me what I already know? I know what damage I have. So if I spend my money on an inspection, how do I know it will SAVE me money? Don't the lease company only take a quick look around, so why go to all the trouble? I didn't get any charges last time. Don't they miss loads of stuff? If my car is dirty, won't it hide the damage? All cars have a few scuffs and dents, isn't this fair wear and tear? If I look around using the book, anything I can't see must be fair wear and tear. Who pays for the valet? 12b. Is there a Fleet rate? What is the BVRLA fair wear & tear guide? Do I claim on my insurance? Can you give me a lift into town? How do I get to New Again? Why are you charging me penalties? Do you fix the car or can I take it elsewhere? Can I leave my car with you and I take my new one? You better not charge me a fortune, because my husband has taken a look at it and says there is nothing wrong with it. How do I look after my new car? Can I just pay you to do it and get it done? 27b. Can you just do everything so I'm guaranteed not to get any charges? What's a ballpark figure of what it will all cost? Can you do a cover-up or hide the damage? £190.30 just to inspect a car? Why so much? How do I know you are being fair and not profiteering? Is my lease company out to get me? 1. Why pay someone to tell me what I already know? I know what damage I have! Tiny dents, small scratches and previous body repairs are amongst the things that people don't notice, but which can lead to the biggest bills -- they can also be the cheapest to get fixed. But our inspection isn't just about telling you what is wrong with your car, we tell you what to do about it so that you save money. But you don't need to bring your car to us for an inspection, you could do the inspection yourself, and we can help by providing a DIY section. But don't expect it to be quick and easy. 2. So if I spend my money on an inspection, how do I know it will SAVE me money? 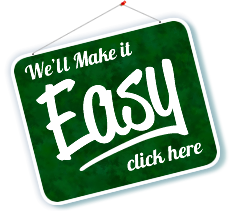 We are here to save you money, if we can't do that then we'll give you your money back. 3. Don't the lease company only take a quick look around, so why go to all the trouble? The actual inspection takes place later, it's carried out by a trained inspector and usually takes between 20 and 40 minutes depending on the condition of the car. Some companies even have them fully inspected twice. This seems to cause a lot of confusion among the lease company's customers, many of whom contact us and say, "They have sent me a large bill for damage, but the man who picked it up inspected it and said it was okay". 4. I didn't get any charges last time. If you are returning a car now, it probably means that it's been a few years since you returned one. So whatever happened last time isn't necessarily going to happen this time! Because of the way lease companies make their money, they need to sell on your car at market value, which is why they make charge-backs to you if you devalue it with excess mileage or damage. Needless to say, the used car market wasn't what it was! Over the last few years, they have been less inclined to let people off, and they have tightened up their inspection processes. Although the rules haven't changed, they are more strictly enforced than before. 5. Don't they miss things? 6. If my car is dirty won't they miss stuff? If the car is dirty, they will clean it before it has the inspection, and you may well be charged for the cost of the clean under the terms of your contract -- you agreed to give it back in a clean condition. 7. 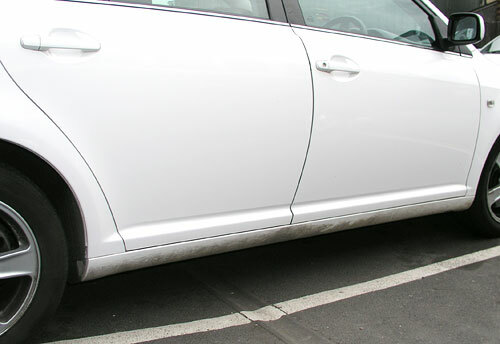 All cars have a few scuffs and dents, isn't this fair wear and tear? Scuffs are not acceptable, dents under 10mm and scratches under 25mm that don't break the base coat can be acceptable as long as there aren't too many on a panel. We suggest you get yourself a copy of the 'standard' so you can find out what is fair and what is not. The BVRLA fair wear and tear standard is not particularly subjective. If you signed a contract, then this is what you signed up to... and although it does seem to be the case that driver's opinions of what should be fair wear and tear differ to the standard, I'm afraid it's an argument that will seldom wash. A lease inspector will note damage according to the guide and this report goes back to a separate department that makes decisions on what is charged back. Some consideration will be given to age and mileage of the vehicle (A three year lease car is expected to have more wear than a one year). The BVRLA fair wear and tear standard is quite strict, and although the vast majority of lease companies base their contracts on it, we have noticed that if they do differ from it, they tend to be a little more lenient. Usually this will mean they are lenient on the sizes of dents and scratches so if you have a separate contract, it's worth checking this as it could save you money on repairs. anything I can't see must be fair wear and tear. Unfortunately, it doesn't work like that. Fair wear and tear is clearly laid out in the industry standard guide. Those are the rules, and without rules, where would we be? 9. How does this all work then? You can have the work done by anybody you want - just remember that you will pay twice for shoddy repairs! Lease companies will not accept repairs that are badly done and charge you for them anyway. So it is best to choose a company on recommendation. There may be some repairs that you are able to carry out yourself - you will be advise about these on your fair wear and tear inspection. 10. Who pays for this pre-inspection? You do - hopefully you have already called your lease company to find this out - some will send out a lease inspector to give you a pre-return inspection and if this is the case, you won't need us for the inspection part, you can get us to do the repairs if there are any, just bring your report with you. 11. Who pays for the Valet? If you have kept your car very clean during the time you own it, you may not need a valet at all. If you are having one of our inspections, a basic valet is included in the price. If you car has particular problems which are chargable (such as stains on seats or mild scratches on paintwork) then there are extras that can be added to our lease return valet -- these are not included in the price. If you car is particually dirty or smells, then we may recommend that you sellect a Silver of Gold valet. 12. How much does it all cost? Our fair wear and tear inspections cost £190.30 for normal customers, but if you have follow this guide it's only £134.20 (cheaper if on special offer or you are elegeble for a discount) - so if you skim read this guide or skipped to the end, go back and read it properly because you will have to pass This Test. The inspection includes a Lease Return Valet so that we can see well enough to inspect the car, but if you require us to valet your car because it is particularly dirty, in addition to our special lease return valet we have additional services that you can purchase as extras - e.g. seats can be steam cleaned at £13.20 each - further details can be found here, alternatively you can choose a valet from our normal valet menu. 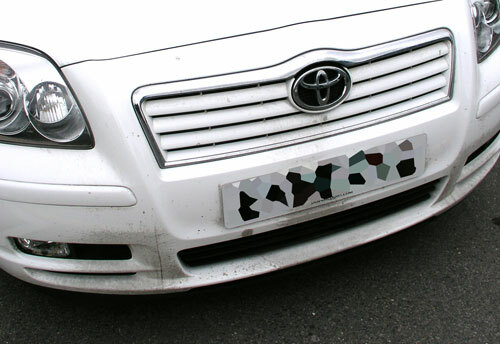 Remember, that excessively dirty cars are not acceptable to the lease company and they expect them to be returned clean. 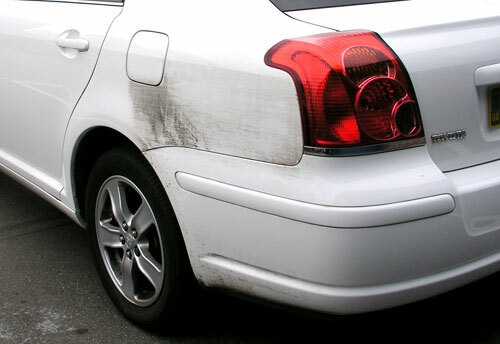 If fact, we are told that when cars are returned dirty, it usually means that somebody is trying to hide something and they pay extra attention to them after they have had them cleaned at your expense!!! We can advise you of the likely cost of repairs once the inspection is done, it will depend on the amount of damage, wear and tear on your car. Yes - If you have more than 6 cars, get in touch and we will work out a fleet rate. However, this may be dependant on your company's willingness to co-operate in the education and preparation of your drivers and vehicle. For example, making sure they read this guide before arriving at an appointment. 13. What is the BVRLA fair wear and tear guide? This guide is the Lease Industry's standard guide for judging if any damage to your car is acceptable wear and tear. As well as acting as a guide for many lease companies, it also offers advice and information to holders of lease cars. We recommend you acquire one at the time you get your leased car - details of where to get the Fair Wear & Tear Guide can be found here. 14. Do I claim on my insurance? Quite possibly, just remember that you can't make one claim for all the damage to your car! Each area of damage is a separate accident and must be claimed for separately, and you will have to pay excess on each. Some insurance companies will have required you to report the accidents as they happened or within a specified period of time. Remember that if you claim, especially if you decide to make multiple claims, you will lose your no-claims-bonus, maybe not now but you will pay for it somewhere down the line. If you are covered by your company insurance, bare in mind that you may wish to leave or insure another vehicle and they will ask for proof of previous claims. If you have made several claims, even for fairly minor car-park damage, this could cost you hundreds of pounds a year. 15. Can you give me a lift into town? 16. Can you call me a taxi? 17. How do I get to New Again (Clean Image)? 18. What are your opening times? 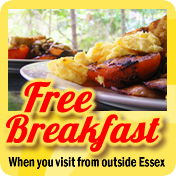 We are open from 8:00am till 5:45pm Monday to Saturday. 19. Do I have to book my car in? We are always happy to see you if you want to pop-in and ask us about something, we are happy to give advice about specific areas of damage... you can call by and see us or upload a photo to our Q&A for free advice. But if you want to have an inspection or get any work done you will need to book your car in. Call us on 01245 350035 - you will be required to pay a £50 booking deposit, so you will need a credit or debit card. If you need to cancel, we need 48hrs notice. If you do cancel in due time, we will return £30 of your deposit. 20. Can I change my booking? Yes, but we require 48 hours notice. 21. Can you do it right now? It takes as long as it takes! The whole process usually takes around 2 hours depending on your car and how prepared you are. Please allow yourself plenty of time. 22. Why are you charging me penalties? We are not charging you penalty charges - we are not part of the lease company and your Fair Wear and Tear inspection with Clean Image is NOT your lease return inspection. 23. Do you fix the car or can I take it elsewhere? You can get the work done anywhere as long as it is done to an acceptable standard. You may even wish to do certain jobs yourself - A stone chip touched in could save you money, and you may also wish to roll your sleeves up and do the valet. For more serious jobs such as bodywork damage, we suggest that you choose a company on recommendation rather than on cheapest prices! The lease company inspectors will not accept badly done repairs. We will point out badly done repairs that will not pass inspection. We have found that some parts such as wing mirror covers and wheel trims can be cheaper to replace than repair. Shopping on eBay is quite good, as is buying from reputable companies like GFS. Dealerships can be reasonable too, for example, a wheel trim for a Peugout is around £14 while the charge for a damage wheeltrim from the lease company could be around £40. As long as you get the correct size (which will be written on the tyre) they are fairly easy to fit. 24. Can I leave my car with you and just take my new one? Yes you can. Although we have no association with any lease companies, they may be able to inspect and collect from any location (check with your lease company first), so it is possible to have them see your car here. You can also have your new car delivered here so that you can drive it away... however, you must make all the arrangements and any car left here for longer than 3 days after we have finished working on it will be charged storage at £6.50 per day. 25. You better not charge me a fortune, because my husband has taken a look at it and says there is nothing wrong with it. 26. How do I look after my new car? Please see page 3 of our lease car guide. 27. Can't I just pay you to do it and get it out of my hair? You can, but sometimes there are areas of damage that are borderline fair wear, especially small areas of damage. If this is all there is, they might not charge you, then again, they might... so we like to have your input as to what you want to take a chance on. 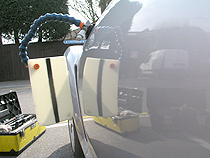 It is often the case that cost of the recharge is less than the cost of repair, for example, if you have damage on the door, they may only charge you the cost of repainting that door, but in the reality, to repair the car properly you would need to paint the whole side of the car to get a good colour blend. You may decide to accept such a recharge... however, you may want to swallow the cost so that you have a clean record so that you get a better deal on your lease car next time. There are often options that we would rather not decide for you. 28. What's a ballpark figure of what it will all cost? The inspection will find the damage and we will be able to tell you how much the recharges are likely to be, and what your alternatives are... it all depends on the condition of your car. We will inform you of the best repair options and the likely costs, you can then make decisions based on what your lease comapny tells you. 29. Do you come to us? No - we are not a mobile service. 30. Can you do a cover-up or hide the damage? No - Please don't ask us! We only carry out good quality repairs. Although you are passing the car back to the lease company, we will only carry out the same standard of repair that we would provide if you were keeping the car. We believe that if a job is worth doing, it's worth doing properly. There are cases, for example on dents, where we can improve a dent so that it is acceptable and won't incur a refurbishment recharge, even though we can't remove it completely. However, once the repair is done, it is permanent.. it is not a cover-up. 31. £190.30 just to inspect a car? Why so much? This isn't just a quick look around, it normally takes us around 2-3 hours. You may be thinking "Why can't i just give my car a wash, look it over myself and send it back". You are welcome to do so, we even have a check sheet as a download that you can use, however we recommend you take this extremely seriously -- it's not as simple as you might think! Firstly, to inspect a vehicle properly, it needs to be really clean. Running it through a car wash is just not good enough, in fact, it doesn't even come close! So as you can see, we have a bit of an issue about people cleaning their cars. Even those people that have brought cars to us properly cleaned, often find that when they get here, the car is dirty again after driving through the wind and the rain and the snow... and thats just in the summer! We have tried various different ways of doing things, but it seems the only way we can ensure that a car is clean enough for inspection, is to clean it ourselves. This in it's self takes us about an hour to do inside and out. Next we do the actual inspection. We have to be as well trained as the BVRLA inspectors who are working on behalf of the lease companies. But unlike them, we also need to know all the answers to the problems we might find. It takes our staff several months of training before they are ready to be able to inspect cars without supervision, but we are always still learing. New problems arrise every day which we haven't seen before, these may be specific to a certain vehicle type and require us to call upon our contacts within the industry to fine definite answers... because we don't like guessing. Despite all this, we do recommend giving your car a good clean, buying the BVRLA guide, or getting your lease company's own guide, downloading our checklist and doing an inspection yourself. If you then find problems, we have put a HUGE amount of information on our website about what is acceptable and what is not... but if you are still unsure, then bring your car to us. Because we do charge for the inspections and all our costs are covered, we don't feel the need to pressure you into buying our repair or valet services so that we can make the money back. In fact, we will often recommend that you order parts yourself, fit them yourself (i.e. wheel trims), and we will often refer you to other companies. See Question 24. 32. How do I know you are being fair and not profiteering? You make the decisions on what work needs to be done, not us. We just make recomendations. We do not pressure you, we professionally help people to buy. You don't have to make a decision right there and then, you will be given an inspection sheet to take away with you which lists all our recomendations. Feel free to check this out yourself against the BVRLA Standard or the fair wear and tear standard set by your lease company. If you do decide to have work done, then feel free to shop around... there may even be things that you can do yourself. 33. Is my lease company out to get me. On the whole, we think they are fair ... read more about it here. 34. What is a threshold? ...and speak to a qualified advisor. should be recommending us to their customers. when returning your lease car. fleet managers and lease companies. Why drivers who inspect their own cars miss most of the damage.